Until now, finding a movie or show to watch was a burden. You had to do all the scrolling, button pushing, searching, and digging. The new Apple TV is designed to take the work out of watching TV. 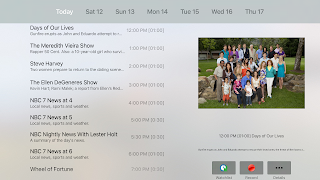 Simply turn to FreeAir.tv to find something for you. Bypass all those confusing buttons with a swipe of your thumb. It’s an experience that makes you feel like you’re interacting directly with the screen, even though it’s on the other side of the room. 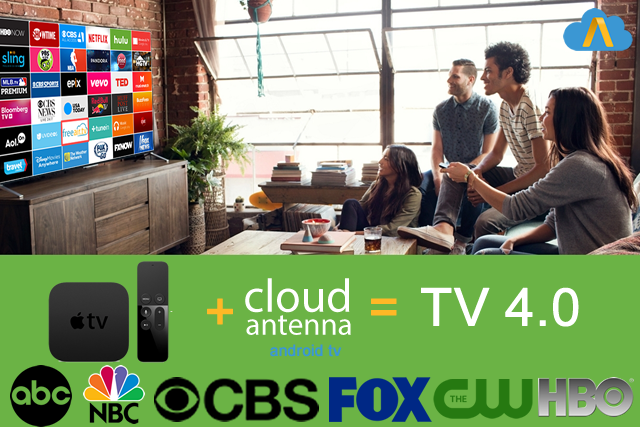 Simply connect your CloudAntenna, and you can watch Live TV anywhere. 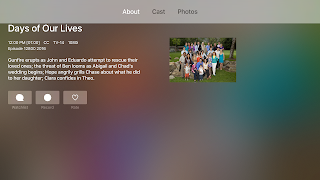 Now on your favorite Apple TV player. 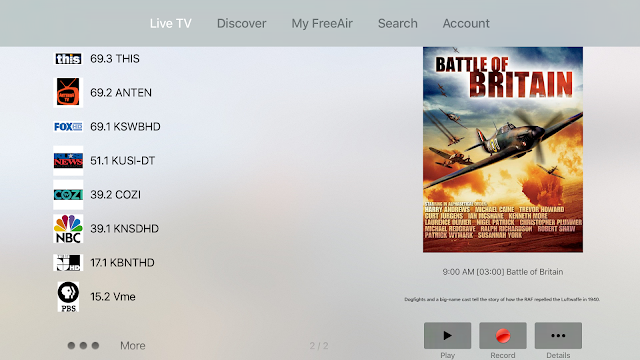 Open FreeAir.tv app on Apple TV to watch live television via your antenna, and you can record and playback recorded shows. 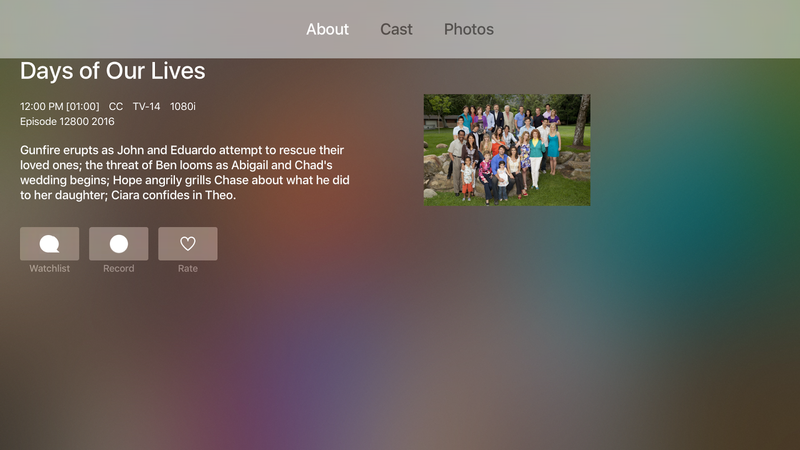 With the Apple TV app, users will be able to watch live TV and recordings, including things that are difficult to access via streaming video services like Netflix or Hulu – like sports and news broadcasts. The app also integrates with Apple TV’s voice-enabled remote control, and will let you skip commercials just by asking Siri to jump ahead in the stream. the live TV grid and recordings screen. Get your CloudAntenna, get your Apple TV. The cord cutter dream. Two beautiful products working in concert together. 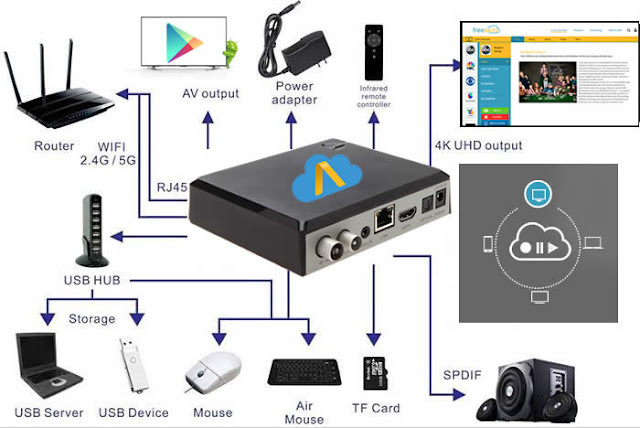 Who said Android TV (powers CloudAntenna) and Apple TV do not get alone! They are just beautiful together. In addition to your local Live TV broadcast, FreeAir.tv brings a variety of FREE and premium entertaiment content from around the world. Discover around 1,000 live & on-demand TV channels; 10,000 films and TV shows; 100,000 free video and audio podcasts; 50,000 free Internet radio choices from around the world! is immposible to use whit AppleTv, i install it and is not working. Hey, I hope you will find this page about the truth spy reviews useful. Hey Thank you for the information. I have been trying to download the apple tv. 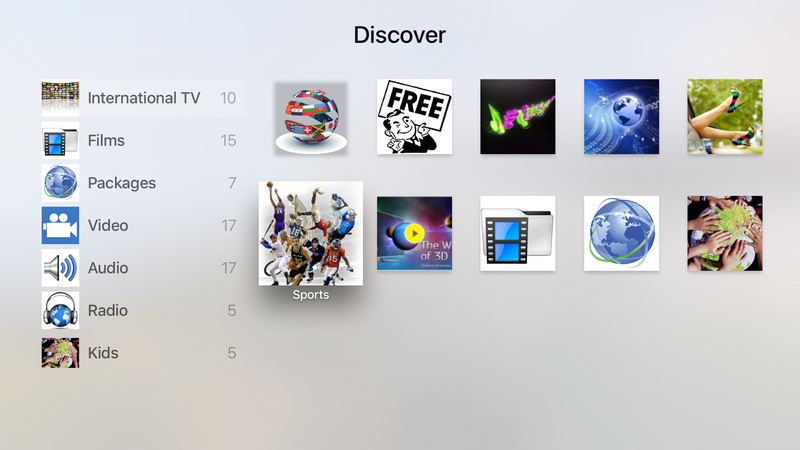 It is impressive how they have improved the features, and one can use multiple apps, while watching the tv. Awesome now Apple TV integrated with charter spectrum internet and cable services now we can use charter spectrum cable through Apple TV without log in over and over.